When you enter a single query in the Google search box, or just speak it to your phone, you set in motion as much computing as it took to send Neil Armstrong and eleven other astronauts to the moon. Not just the actual flights, but all the computing done throughout the planning and execution of the 11-year, 17 mission Apollo program. That’s how much computing has advanced. It is easy to take this for granted, but this computing power helps make the world a better place and opens the door for amazing things to come. The two of us are old enough to remember the thrill of seeing Neil Armstrong walk on the moon in the summer of 1969. Many things have changed since then, and incredible progress has been made in some areas. As we reflect back on our own experience, and try to match today's world to 1969, we decided to compare the amount of computation available to NASA engineers then versus what's available now. The Apollo Guidance Computer (AGC) on board the lunar module (LM) executed instructions at a speed of about 40 KHz (or 0.00004 GHz), about 100,000 times slower than a high-end laptop today. There was also a similar real-time computer built into the Saturn V rocket. On the ground, NASA had access to some of the most powerful computers of the day: five IBM model 360/75 mainframe computers, each about 250 times faster than the AGC. They were running nearly 24/7, calculating lift-off data and orbits, monitoring biomedical data during the mission, and performing numerous other calculations. It takes about the same amount of computing to answer one Google Search query as all the computing done -- in flight and on the ground -- for the entire Apollo program! [project codename “Answers”] Addition of a live result showing schedule and scores of the EURO 2012 games (European championship of national soccer teams). #82293. [project codename “Answers”] Improved dictionary search feature by adding support for more natural language searches. Better HTML5 resource caching for mobile. [project codename “Mobile”] We’ve improved caching of different components of the search results page, dramatically reducing latency in a number of cases. ng2. [project codename “Other Ranking Components”] Better ordering of top results using a new and improved ranking function for combining several key ranking features. Ref-16. [project codename “Other Ranking Components”] Changes to an "official pages" algorithm to improve internationalization. Bamse. [project codename “Page Quality”] This launch helps you find more high-quality content from trusted sources. Bamse-17L. [project codename “Page Quality”] This launch helps you find more high-quality content from trusted sources. GreenLandII. [project codename “Page Quality”] We've incorporated new data into the Panda algorithm to better detect high-quality sites and pages. #82353. [project codename “Page Quality”] This change refreshes data for the Panda high-quality sites algorithm. SuperQ2. 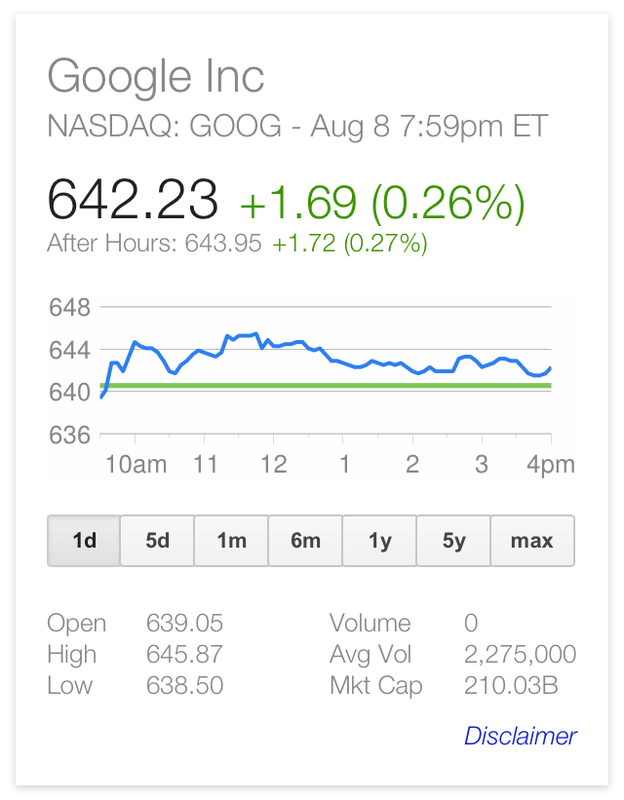 [project codename “Image”] We've updated a signal for Google Images to help return more on-topic image search results. #82743. [project codename “Answers”] Changes to the calculator feature to improve recognition of queries containing "and," such as [4 times 3 and a half]. komodo. [project codename “Query Understanding”] Data refresh for system used to better understand and search for long-tail queries. #82580. 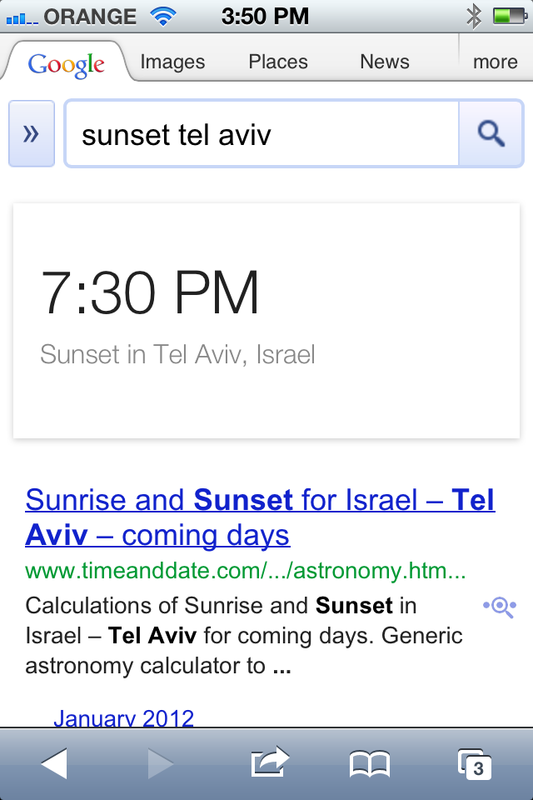 [project codename “Answers”] This is an improvement for showing the sunrise and sunset times search feature. PitCode. [project codename “Answers”] This launch adds live results for Nascar, MotoGP, and IndyCar. This is in addition to Formula1 results, which were already available. timeob. [project codename “Answers”] We've improved natural language detection for the time feature to better understand questions like, "What time is it in India?" #81933. [project codename “Synonyms”] This launch improves use of query synonyms in ranking. 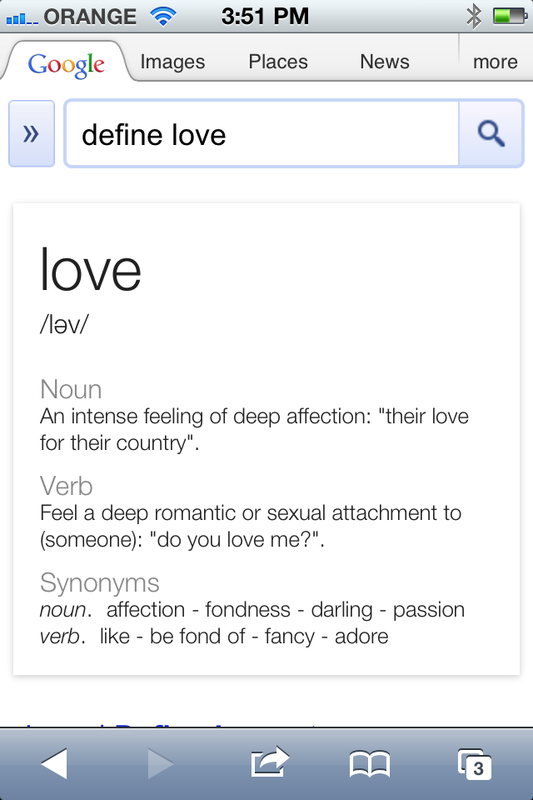 Now we're less likely to show documents where the synonym has a different meaning than the original search term. #82496. [project codename “Answers”] Changes made to the movie showtimes feature on mobile to improve recognition of natural language queries and overall coverage. #82367. [project codename “Other Ranking Components”] This launch helps you find more high-quality content from trusted sources. #82699. [project codename “Other Search Features”] We've made it easier to quickly compare places. Now you can hover over a local result and see information about that place on the right-hand side. CapAndGown. [project codename “Image”] On many webpages, the most important images are closely related to the overall subject matter of the page. This project helps you find these salient images more often. #82769. [project codename “Answers”] Improvements to the calculator feature on mobile to improve handling of queries that contain both words and numbers such as [4 times 3 divided by 2]. Vuvuzela. [project codename “SafeSearch”] We've updated SafeSearch to unify the handling of adult video content in videos mode and in the main search results. Explicit video thumbnails are now filtered more consistently. #82537. [project codename “Answers”] We've enabled natural language detection for the currency conversion feature to better understand questions like, "What is $500 in euros?" #82519. 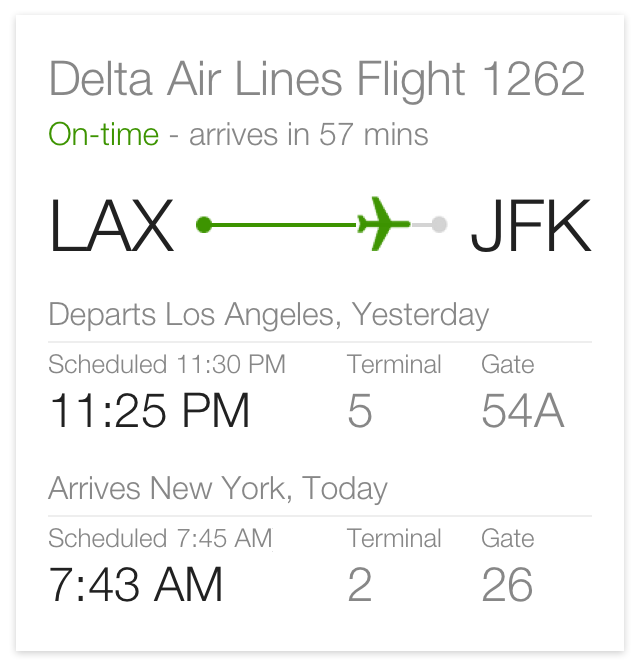 [project codename “Answers”] We've enabled natural language detection for the flight status feature to better understand questions about flight arrival times and status. #82879. 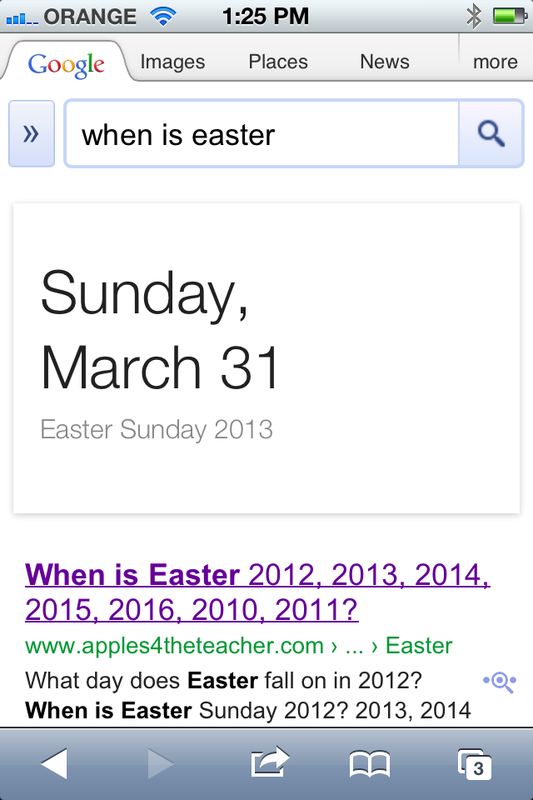 [project codename “Answers”] We've improved the triggering for the "when is" feature and understanding of queries like, "When is Mother's Day?" wobnl0330. [project codename “Answers”] Improvements to display of the weather search feature. Lime. [project codename “Freshness”] This change improves the interaction between various search components to improve search results for searches looking for fresh content. gas station. [project codename “Snippets”] This change removes the boilerplate text in sitelinks titles, keeping only the information useful to the user. #81776. 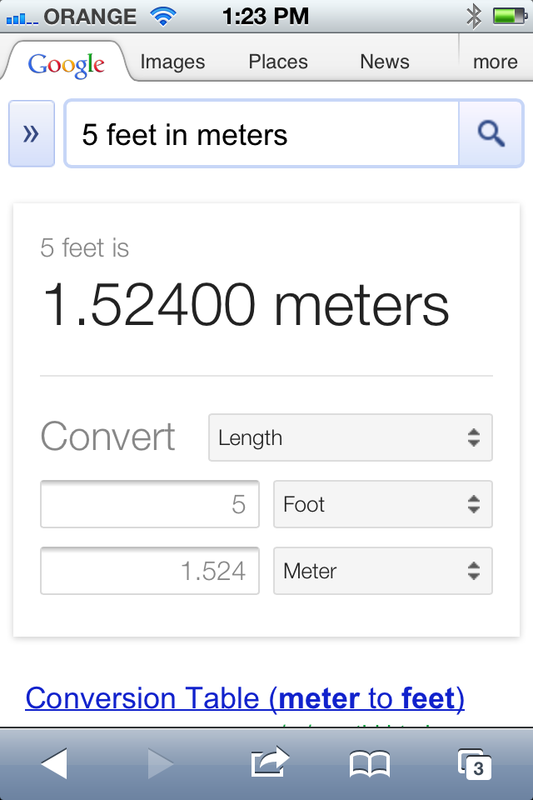 [project codename “Answers”] We've improved natural language detection for the unit conversion feature to better understand questions like, "What is 5 miles in kilometers?" #81439. 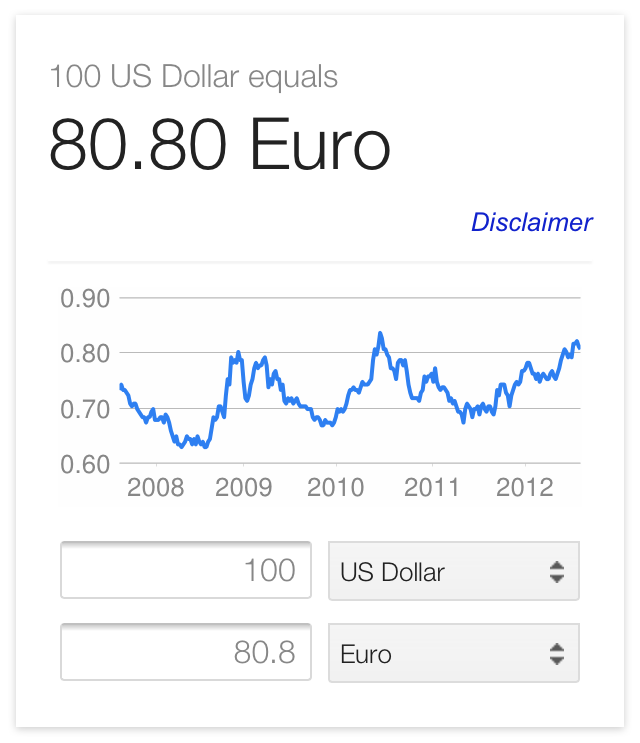 [project codename “Answers”] Improved display of the finance feature for voice search queries on mobile. #82666. [project codename “Page Quality”] This launch helps you find more high-quality content from trusted sources. #82541. [project codename “Other Ranking Components”] This is one of multiple projects that we're working on to make our system for clustering web results better and simpler. gaupe. [project codename “Universal Search”] Improves display of the flights search feature. Now, this result shows for queries with destinations outside the US, such as [flights from Austin to London]. #82887. [project codename “Answers”] We've improved natural language processing for the dictionary search feature. gallium-2. [project codename “Synonyms”] This change improves synonyms inside concepts. zinc-4. [project codename “Synonyms”] This change improves efficiency by not computing synonyms in certain cases. Manzana2. [project codename “Snippets”] This launch improves clustering and ranking of links in the expanded sitelinks feature. #82921. [project codename “Alternative Search Methods”] We've improved finance results to better understand finance-seeking queries spoken on mobile. #82936. [project codename “Answers”] Improved display of the weather search feature, so you can ask [weather in california] or [is it hot in italy]. #82935. [project codename “Answers”] We've improved natural language detection for the sunrise/sunset feature. #82460. [project codename “Snippets”] With this change we're using synonyms to better generate accurate titles for web results. #82953. [project codename “Answers”] This change improves detection of queries about weather. PandaMay. [project codename “Search Quality”] We launched a data refresh for our Panda high-quality sites algorithm. ItsyBitsy. [project codename “Images”] To improve the quality of image results, we filter tiny, unhelpful images at the bottom of our image results pages. localtimeob. 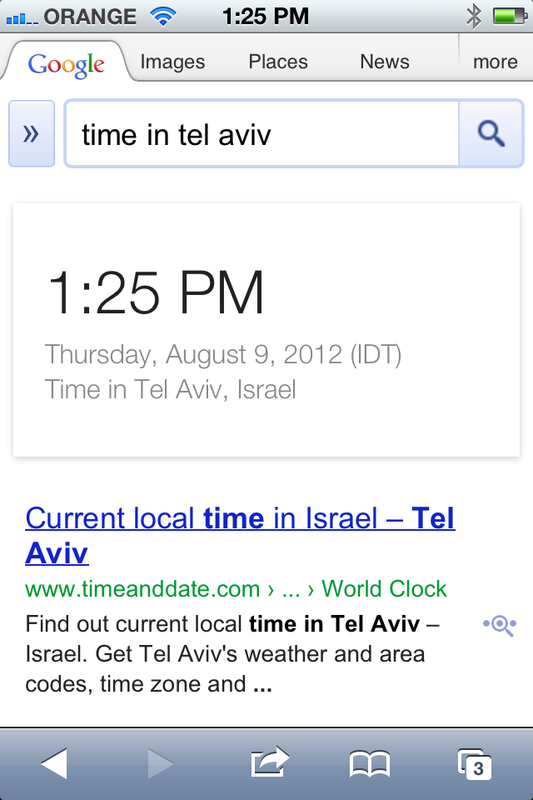 [project codename “Answers”] We've improved display of the local time search feature. #82536. [project codename “Answers”] We've improved natural language detection to better understand queries about baseball and return the latest baseball information about MLB, such as schedules and the latest scores. Improvements to Images Universal ranking. [project codename “Universal Search”] We significantly improved our ability to show Images Universal on infrequently searched-for queries. absum3. [project codename “Snippets”] This launch helps us select better titles to display in the search results. This is a change to our algorithm that will specifically improve the titles for pages that are in non-Latin based languages. #83051. [project codename “Answers”] We've improved display of local business information in certain mobile use cases. In particular, we'll highlight information relevant to the search, including phone numbers, addresses, hours and more. calc2-random. [project codename “Answers”] This change improves our understanding of calculator-seeking queries. #82961. [project codename “Alternative Search Methods”] When you search for directions to or from a location on your mobile device without specifying the start point, we'll return results starting from your current position. #82984. [project codename “Universal Search”] This was previously available for users searching on google.com in English, and now it's available for all users searching in English on any domain. #82150. [project codename “Spelling”] Refresh of our algorithms for spelling systems in eight languages. NoPathsForClustering. [project codename “Other Ranking Components”] We've made our algorithm for clustering web results from the same site or same path (same URL up until the last slash) more consistent. This is one of multiple projects that we're working on to make our clustering system better and simpler. Hamel. [project codename “Page Quality”] This change updates a model we use to help you find high-quality pages with unique content. #81977. [project codename “Synonyms”] This change updates our synonyms systems to make it less likely we'll return adult content when users aren't looking for it. Homeland. [project codename “Autocomplete”] This is an improvement to autocomplete that will help users to get predicted queries that are more relevant to their local country. #82948. [project codename “Other Search Features”] We've improved our natural language processing to improve display of our movie showtimes feature. yoyo. [project codename “Snippets”] This change leads to more useful text in sitelinks. popcorn. [project codename “Snippets”] We've made a minor update to our algorithm that detects if a page is an "article." This change facilitates better snippets. Golden Eagle. [project codename “Autocomplete”] When Google Instant is turned off, we'll sometimes show a direct link to a site in the autocomplete predictions. With this change we refreshed the data for those predictions. #82301. [project codename “Indexing”] This change improves an aspect of our serving systems to save capacity and improve latency. #82392. [project codename “Indexing”] This launch improves the efficiency of the Book Search ranking algorithms, making them more consistent with Web Search. Challenger. [project codename “Snippets”] This is another change that will help get rid of generic boilerplate text in Web results' titles, particularly for sitelinks. #83166. [project codename “Universal Search”] This change is a major update to Google Maps data for the following regions: CZ, GR, HR, IE, IT, VA, SM, MO,PT, SG, LS. This new data will appear in maps universal results. #82515. [project codename “Translation and Internationalization”] This change improves the detection of queries that would benefit from translated results. bergen. [project codename “Other Ranking Components”] This is one of multiple projects that we're working on to make our system for clustering web results better and simpler. Panda JK. [project codename “Page Quality”] We launched Panda on google.co.jp and google.co.kr to promote more high-quality sites for users in Japan and Korea. rrfix4. [project codename “Freshness”] This is a bug fix to a freshness algorithm. This change turns off a freshness algorithm component in certain cases when it should not be affecting the results. eventhuh4. [project codename “Knowledge Graph”] We'll show a list of upcoming events in the Knowledge Graph for city-related searches such as [san francisco] and [events in san francisco]. #83483. [project codename “Universal Search”] This change helps surface navigation directions directly in search results for more queries. Zivango. [project codename “Refinements”] This change leads to more diverse search refinements. #80568. [project codename “Snippets”] This change improves our algorithm for generating site hierarchies for display in search result snippets. Labradoodle. [project codename “SafeSearch”] We've updated SafeSearch algorithms to better detect adult content. JnBamboo. [project codename “Page Quality”] We’ve updated data for our Panda high-quality sites algorithm. #83242. [project codename “Universal Search”] This change improves news universal display by using entities from the Knowledge Graph. #75921. [project codename “Autocomplete”] For some time we've shown personalized predictions in Autocomplete for users who've enabled Web History on google.com in English. With this change, we're internationalizing the feature. #83301. [project codename “Answers”] Similar to the live results we provide for sports like baseball or European football, you can now search on Google and find rich, detailed information about the latest schedule, medal counts, events, and record-breaking moments for the world's largest sporting spectacle. #83432. [project codename “Autocomplete”] This change helps users find more fresh trending queries in Japanese as part of autocomplete. We’re back with the latest in our series of search quality highlights. We have a couple months to make up for, so this list is a doozy with 86 changes. You might notice we’ve made one subtle tweak as compared with prior blog posts. We’re no longer using separate descriptive names and codenames (we’re just listing one or the other). Many times the descriptive names really just repeated the information in the short description. Names are sometimes useful for providing a unique identifier for a given change, so in cases where we don’t have a name, we’re adding an ID number. uefa-euro1. [project codename “Answers”] Addition of a live result showing schedule and scores of the EURO 2012 games (European championship of national soccer teams). we receive for any given site. Sites with high numbers of removal notices may appear lower in our results. This ranking change should help users find legitimate, quality sources of content more easily—whether it’s a song previewed on NPR’s music website, a TV show on Hulu or new music streamed from Spotify. Only copyright holders know if something is authorized, and only courts can decide if a copyright has been infringed; Google cannot determine whether a particular webpage does or does not violate copyright law. So while this new signal will influence the ranking of some search results, we won’t be removing any pages from search results unless we receive a valid copyright removal notice from the rights owner. And we’ll continue to provide "counter-notice" tools so that those who believe their content has been wrongly removed can get it reinstated. We’ll also continue to be transparent about copyright removals. , you’ll see a new 10-day and hourly weather forecast that you can interact with. Our calculator feature also got a makeover—you can search for any calculation on google.com and you’ll get a fully functional scientific calculator at your fingertips. Today when you search on mobile or tablet, you’ll see some more improvements in the way we provide these quick answers, including better understanding what information you need and surfacing the most relevant information for you. 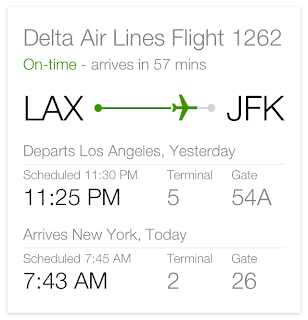 For example, in our flight status quick answer, we’ve included a flight progress indicator and increased the size of arrival and departure times so you can quickly see when your loved ones will be landing. Other quick answer features we’re updating on mobile and tablet cover finance, currency conversion, unit conversion, dictionary definitions, local time lookup, and holiday and sunrise times. In all these quick answers we’ve simplified the experience so you can focus on the answer you were looking for. For example, for unit conversions the answer is displayed prominently for a question like [how many miles are 42 kilometers]. 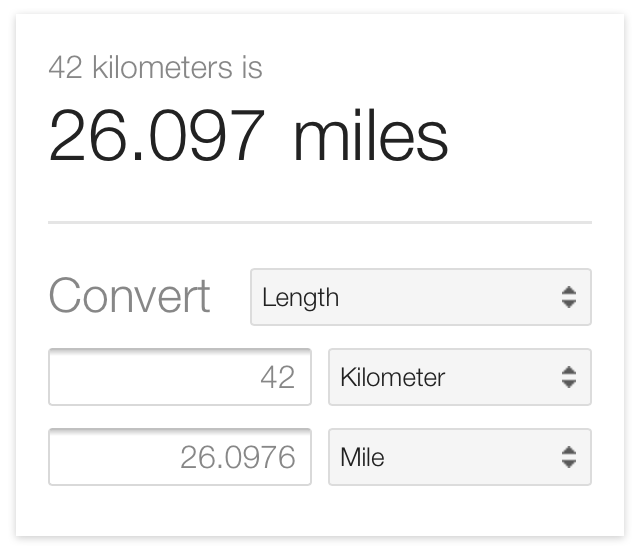 If you’d like to convert another unit of measure like [how many yards in a mile], you can simply tap the card and see the full unit converter right there. These changes are rolling out to those searching on google.com in English on mobile and tablet. Stay tuned as we continue to develop our quick answers and bring these beautiful designs to desktop and international users as well. Search has always been about getting you the answers you need as quickly as possible. When you’re looking for the weather forecast or a stock quote, solving an equation, or converting kilograms into pounds, you’ve been able to see those answers right away on Google. We’ve recently made improvements to some of these answers to make them richer, more beautiful, and more interactive. When you search for weather on tablet and mobile, you’ll see a new 10-day and hourly weather forecast that you can interact with. Our calculator feature also got a makeover—you can search for any calculation on google.com and you’ll get a fully functional scientific calculator at your fingertips.